Moc Roofing is a family owned business with a combined 50 years of construction and roofing experience. Moc Roofing is different, when you choose us you can trust that the job will be done right, the first time! No hassle, no frustration, just quality work! That’s our promise to you. Our mission is to make your remodeling project or insurance claim stress free. We will guide you through the process, and in some cases we can even help you find funding! With this level of commitment to your project, why go anywhere else? Moc Roofing can accommodate both commercial and residential roofing projects. We have over 50 years experience in metal roofing, roofing remodeling and new roofing projects. 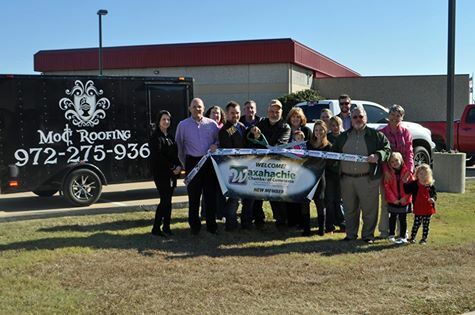 We use efficient and professional techniques to offer you the best roofing experience around. No other competitor can provide you with a faster, low stress and lasting roofing solution!